საგზაო ნიშნები, რომელიც რემონტისას გამორჩათ, დამატებულია. პეკინი გამონაბოლქვით ერთ ერთი ყველაზე დაბინძურებული ქუჩაა. 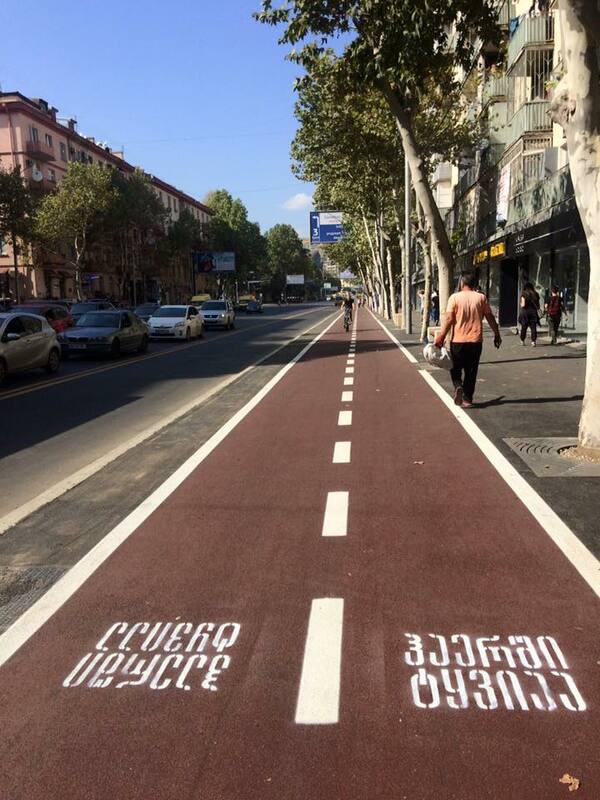 Guerrilla “road sign” on Pekini avenue, Tbilisi which says “lead is in the air” – Pekini avenue is one of the most polluted streets in Tbilisi, where bicycle rout was added recently after avenue renovation. On Georgian language “lead” and “bullet” is the same word.